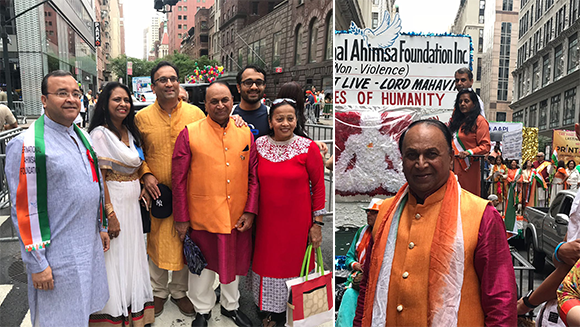 On August 19, 2018, JAINA, YJP and YJA members participated in India Day Parade in New York which was organized by the Federation of Indian Associations. More details are given below. 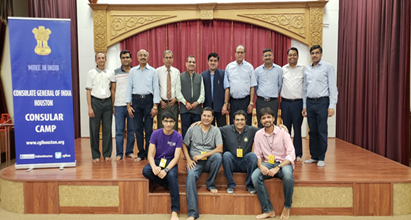 Jain Society of North Texas (JSNT) hosted regional quarterly Visa camp and assisted the India consulate mission. More details are given below. 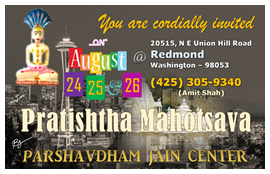 Parshavdham Jain Center cordially invites you to Pratishtha Mahotsav of a new Jinalaya in Redmond, Washington. Details are given below. Last month, YJP of Bay Area organized a captivating tour of Green Gulch Farm Zen Center. This communal experience included an enjoyable picnic, group meditation, and spiritual activities. Details are given below. 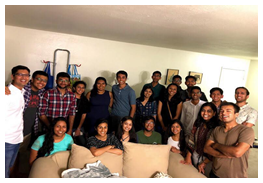 Recently, YJA West Coast Regional Coordinator hosted a competitive night. This night was the fun-filled with everyone’s favorite board games. More details are given below. Q 1: What are the different types of Tapasya? Q 2: What is external Tapasya (Austerity)? Q 3: What is Internal Tapasya (Austerity)? Federation of Indian Associations (FIA) organized an India Day Parade in New York City On August 19, 2018. It was the largest Independence Parade outside India. JAINA, YJP and YJA marched by International Ahimsa Foundation Float. JAINA President, Mr. Gunvant Shah also met with Indian Consulate from NY and NY and Congress Woman during the Parade. Here are some photos from the event. Generally, ordinary beings consider sensual pleasures as happiness and their attempts are also directed towards it. According to them, search for happiness means to search for pleasures of the senses. The question 'what is happiness' does not arise in their hearts, because they treat life full of sensory joys as a happy life. Parshavdham Jain Center cordially invites you to Pratishtha Mahotsav of a new Jinalaya in Redmond - WA (Seattle area) with a Parshvanath Bhagwan Pratimaji, many other Pratimajis, and Charan Paduka/Pagla by renowned Vidhikar Manojbhai Haran on August 24, 25 and 26, 2018. 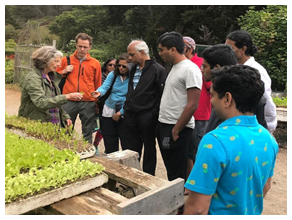 On July 28, 2018, YJP of Bay Area organized a captivating tour of Green Gulch Farm Zen Center, also known as Green Dragon Temple. It is prominent Soto Zen practice center that practices in the lineage of Shunryu Suzuki. 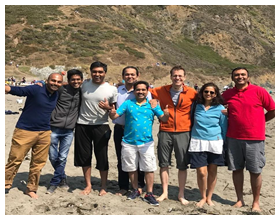 This communal experience included an enjoyable picnic, group meditation, and spiritual activities designed to foster a deeper sense of the interconnectedness of life. 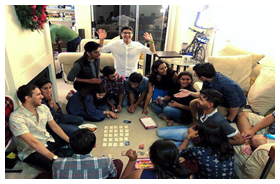 Recently, YJA of West Coast RC hosted a fun and competitive night that was filled with everyone’s favorite board games: like codenames, secret hitler, catan, and smallworld! If you are interested in knowing future events conducted by YJA in your city, check out your Regional Facebook page or yja.org. Each one is further subdivided into six groups. A 2: External austerities are those austerities which when performed can be noticed by other people like Vritti Sankshep (Reducing desires). A 3: Internal austerities are those austerities which when performed, cannot be noticed by other people.